This business is very profitable and the demand for catfish is increasing on daily basis in Nigeria. Catfish are very expensive and you stand a chance of making yourself a very rich individual if you venture into the catfish business. An ideal catfish farming business will require a minimal capital that you can raise from your personal savings, which means you don’t have to get a loan before you venture into the catfish farming business. You don’t have to dig a fish pond before you rear the fish to maturity, there are artificial ponds made of plastic and net cover which will not only maximize your space (as you can put them in your backyard) but also save you the cost of digging up a pond. Catfish are generally very cheap to rear, because their feeds are not so expensive compared to other poultry animal feeds. Once you understand thebasis of the business, you would be making more than #200,000 on monthly basis. Typically, two big catfish (depending on the weight) will sell for about #1200 in the evening market. 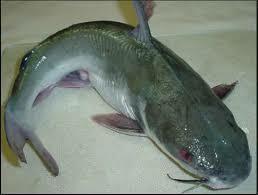 The market for catfish sales is very huge as the demand is always high all the time. You can sell in bulk to restaurants, eateries, and other retailers. Poultry farming is one of the oldest businesses in Nigeria. To show you how profitable this business is, people like Obasanjo, Atiku, Abubakar Sallam, all own a poultry farm where they rear animals for commercial sales. Not everybody will have enough capital to start a farm as big as Otta farm, but you can also start on a small scale and make huge profit over time. There are various sections of poultry farming, and your choice of animal depends on you level of expertise, your start-up capital and your location. Take for instance; rearing pig is very profitable if you stay in the south west part of Nigeria. Pigs are eaten as meat here and the market for pork meat is very robust. It’s also very easy to rear pigs when it comes to feeding; because they basically feed on PKC shaft from palm kernel. You can also choose to keep poultry birds like; broilers, layers, turkey or cockerels. 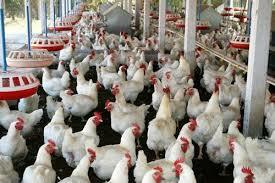 Each of these birds has their own benefits and when done properly, the poultry farming business is one of the most lucrative businesses in Nigeria. This is still under the poultry farming business, but I choose to discuss it on a separate case because it’s one of the businesses you can venture into with a very small capital of less than #1000. And with your little investment of #1000, you can make a return of investment of over #5,000,000 within a year. The Achatina Achatina specie of snails is known to lay about 300eggs in a batch and can do so about three (3) times within a year. That’s a very huge profit when you calculate the price of each snail sold. Snails are generally not expensive to rear and you won’t have to invest a dime in the feeding. What you need to do is create a suitable environment for the snail and feed them with green leaves as you watch them grow and reproduce. 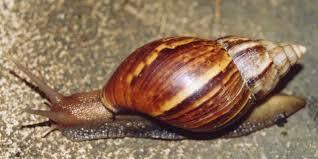 Just like any other poultry farming business, the market for snail is very robust. As a matter of fact, you can look into exporting to USA, England and other developed country provided you’re keeping a large scale farm. Local markets like Mr Biggs, Tantalizers, and other popular food franchise would gladly order for your matured snail, once you’re capable of constant supply. 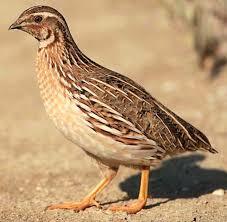 The quail bird farming is gradually replacing the traditional poultry bird farming. This business is one of the most lucrative businesses in the agro-allied business because of the healthy benefit of quail eggs. Nigerians are always looking for where to buy quail eggs, and the demands are not yet met. This makes the quail bird farming one of the best business opportunities in Nigeria. Just like the normal poultry bird farming, to start the quail bird farming business, you would require a capital of about #200,000. The difference between this business and the regular poultry business is that, while the regular poultry farming business might take you 4-6 months before you start making decent income, the quail bird farming doesn’t take that long. Within two (2) months of commencing the business, you would be able to recover you initial investment capital provided you dedicate enough time to the business. A larger percentage of the business opportunities listed in this article is agricultural related. This makes the production of animal feed mill a very lucrative business in Nigeria. Most poultry farmers are always occupied with the task of taking care of their birds and keeping them healthy. So they outsource the production of birds feeds mill. Popular Feeds Mill company in Nigeria; like Topawo Feeds, Top Feeds are making millions of naira from feed mill sales every year. The demand for poultry feeds mill is currently higher than the number of feeds mill Production Company we have. You can leverage into this business and make yourself a niche by supplying feeds mill to poultry farmers. This business would require some certain amount of capital; you can look for a joint venture capitalist or source for a bank loan. Nigerians love eating bush meat. This makes the market for this business very robust. Grasscutter farming might be a little bit stressful considering all the details you have to put into consideration when planning their housing and colony creation. But it is very much rewarding once everything is put into place as appropriate. A matured Grasscutter is sold for about #600 to #1200, and it takes about 7 month to rear them into harvest. Each female Grasscutter can produce about four to seven offspring, now do the math provided you have 500 reproducing Grasscutter. A friend of mine is into this business and he makes millions of naira from it on yearly basis. The importation business is straight forward, and you can start with little capital and expand your business over time. You don’t need a physical store to sell your goods. Thanks to popular Ecommerce stores like Jumia, Konga and Kayumu, it has never been easier to sell off items online. With the right business niche and minimum capital, the importation business is a sure fire-way to make millions of naira in Nigeria. This is a relatively new business in Nigeria and it’s prospects are very high. I combined the three together because if you’re starting you might need to do them together until you are able to reach a client base that will sustain your business over time. This business opportunity requires some certain amount of capital, mostly for the acquisition of vehicles and other important items needed for the running of the business. Transportation business would always be lucrative in Nigeria, mainly because the country does not have a standard public transport system. 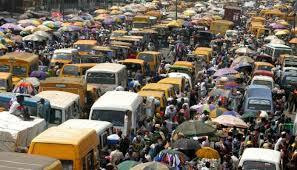 You can start a car hire business, provided you live in big cities; like Lagos or Abuja. It’s a relatively new business niche, but the prospect is very high. You can also invest your capital in buying tricycle and motor cycle and hire people to drive it around for you. For motorcycle, you would normally collect about #1000 rebates per day; that’s about #7000 in a week. It’s one of the major passive sources of income in Nigeria as at today. Although not a popular business in Nigeria. People are gradually spending money on tourism. You can start a local or international tourism agency. You get huge commission from different packages from your clients. Great business idea provided you live in a city where the internet penetration isn’t strong. You can as well start a wireless internet distribution service within your area; the scope of this business depends on your initial capital. 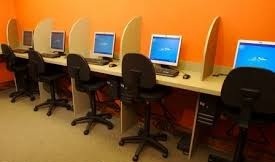 Nigerians are gradually coming online; over 50% of the country populations now have access to the internet. This makes a social media marketing business a very lucrative job. You can start an online marketing firm that helps companies promote their businesses online through various social media platform. All you have to do is establish yourself as an authority on the internet and various social networks. Gather massive following and you would soon be getting paid to help promote products through your channels. Companies like web4africa and Domain King makes millions of naira from the web hosting business every year. Websites are being launched every day, and these websites would always need a web host and domain name registrar. You can make tons of money buy being a Web hosting reseller and domain registrar. To start this business, you need a little capital to buy web disk space and bandwidth from big hosting companies. This is also a lucrative business opportunity in Nigeria. Developing a website requires some technical skills, but if you’re willing to learn, you can pick up the skills in a month or two. It’s fairly easy to get started, and you can always reach out on popular forum to scout for your first clients. Once you are good at what you do, then customers would start trooping in. Starting a web design company requires little capital. Once you have a laptop and you know how; then you’re good to go. This is mainly for students and fresh graduates that are yet to get a permanent job. A Tutorial business is one of the best business on Nigeria. With absolute zero capital, you can start the business and make #60,000 on monthly basis, without stressing yourself out. Depending on your targeted audience. You can offer tutorial lessons to secondary school students that are preparing for WAEC. You can also venture into home tutoring for students that needs help with certain subject. You can reach out to people in your church and neighborhood, tell them about your business, make fliers and paste it around. You would start getting called up in no time. What is infoprenuership? It’s not an official word, but what it loosely translate into is the act of selling information to people. The tradition method of making sales is by selling products; physical items to people. But infoprenuership does not involve the sales of physical items, but rather you sell information to people. In the form of EBooks, or Instructional Video or Articles. If you’re good at something, and you know that not many people know about it; you can offer to sell the information for a certain price. You’d be amazed at how much people are willing to pay to get enlightened about the topic that interests them. This business has been around for a while, and people are making serious money from it. Starting this business requires some basic capital. You would need a quality video capturing camera, and static photograph camera. This device might be very expensive, but the business is lucrative enough to make it profitable in the long run. Nigerians love celebration, and they love keeping it on record as well. This makes the photography and video recording business a very hot one. Just like I said earlier, Nigerians love celebrating different occasions; ranging from birthday ceremony, to burial ceremony, marriage, and naming ceremony. 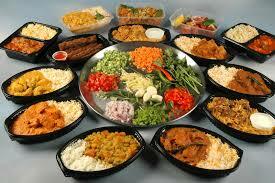 For all these occasions there is always a need to feed the attendees. Starting a catering service requires an exception skills as regards cooking and organizing events. You also need a considerable amount of capital to hit the ground running. It’s advisable to start with little capital and expand the business as you gain more reputation. For every events; there is always a need to decorate the venue and make it look good. A decoration business comes in various niches. You can choose to be an event decorator, an interior decorator or an environmental decoration. Depending on the choice of you niche. The decoration business is generally very lucrative. Especially when you reside in the big cities in Nigeria. Rental business is also a very lucrative one. You can choose to venture into events item rentals; renting out items like chairs, plate, rug, canopy, drums, tanks, cooking utensils etc. Starting the rental business requires some certain amount of capital and a brief “know-how” about the business in general. This business is very lucrative; provided you are well located. Starting a gamin center in a student environment will bring you tons of money at the end of the month. You would need some amount of capital to kick start this business. You would need a shop space, game console, a generating set, standing fan and big screen television. Game viewing center is also closely related to the game centre. If you have enough capital, you can start both of them alongside one another. All you need is practically the same with what you need in setting up a game centre; however, instead of buying a game console as the case with gaming centre; you would need a satellite dish (DSTV) and viewing subscriptions to the premium super sport channels. Read my guide onstarting a football viewing center. The car washing business is definitely one of the underrated businesses in Nigeria. When proper strategies are put in place in setting up the business, it’s one of the best ways to make passive income in Nigerians. You don’t have to be the car washer yourself. 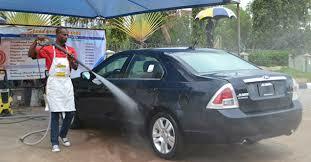 You can employ young people within your area and pay them on commission basis per car washed. This is a little bit different from the large pharmaceutical drugs that you have around. Starting a medicine store requires some licenses, but you don’t have to be a registered pharmacist before you start the business. Once you’re able to acquire the NAPMED license, you’re qualified to start selling the “over-counter” drugs. This license does not cover prescription drugs, so you’re not allowed to sell prescription drugs unless you hire a certified pharmacist. People put their health ahead of any other thing; so be rest assured that an investment in the healthcare business would definitely pay off; sooner than later. This is a good business opportunity provided you have the time and required skills. 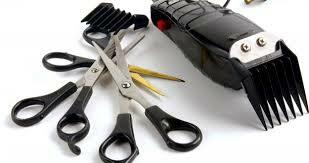 If you have enough money to invest in the business; you can always set up the place and hire a trained barber to help out with the skill aspect while you learn from him over time. Now you’ve read a complete list business opportunities in Nigeria. What are you waiting for? What are you still thinking about? Now is the right time to get something done and start your own business. Coming Soon....I will explain how you can start each of these businesses with the lowest capital if you are interested in any of them.